The Miami Marlins are having a really good month of May. Their record for this month so far is 18 wins and 8 loses. 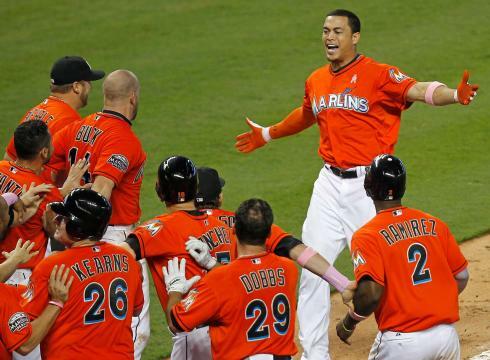 The Marlins have shown themselves to be the contenders in the N.L. East many have thought they could be. The Marlins have to give a lot of credit to Right Fielder Giancarlo Stanton (formerly known as Mike Stanton) for their success. May has been a month where Texas Rangers star Josh Hamilton solidified his place as a superstar after two incredible months of play. Hamilton has soaked up most of the mainstream sports media’s attention. Now their is another star to pay close attention to. The Marlins and Stanton had a rough opening month of April. The power hitter had only one home run in April and it was at the end of the month. Stanton was also having a hard time getting on base at times. He has had 2 previous complete seasons in the bigs. He increased almost all of his stats from his first season in his second season last year. I have a feeling he can go even further this year. Stanton celebrates his walk off grand slam on May 13th, 2012. The most exciting event for the Marlins this month came just a week ago at their home stadium known as Marlins Park. On Sunday, May 13th in the bottom of the 9th inning the Marlins were tied 4-4 with the New York Mets, Stanton came to the plate with the bases loaded. Stanton did not disappoint, he blasted a walk off grand slam to give the Fish a 8-4 victory. In the very short history of Marlin Park this moment is the biggest ending to a game the team has seen. The grand slam not only made Stanton look good, it showed that the Marlins are ready to battle it out with the teams in the really tough N.L. East. 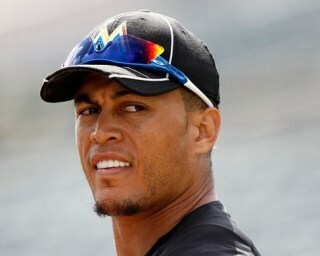 Stanton was drafted by the Marlins in the second round of the 2007 June Draft. He was one of their top prospects until he made his Major league debut in 2010. Stanton has been awesome in May. He hit 11 home runs and has hit 21 RBI’s this month alone. He has a season batting average of .291 and hit a total of 12 dingers and totaled 36 RBI’s so far. He is on pace to have one of his best seasons. Giancarlo Stanton is a well rounded player with the potential to be a superstar the likes of Albert Pujols. The question is not if he will reach his full potential but when. Even the player he has been right now has been a huge benefit to the club. Stanton is the future of the Marlins franchise and their future is really bright. 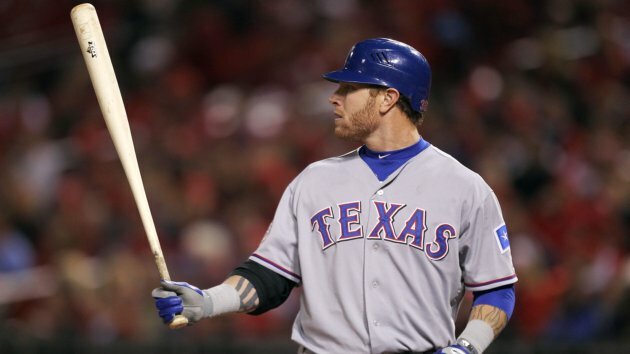 Josh Hamilton has a .392 batting average, 18 home runs, 45 RBI’s, 33 runs and 3 stolen bases. Of the 40 games the Rangers have played this season Hamilton has played 37 of those games. 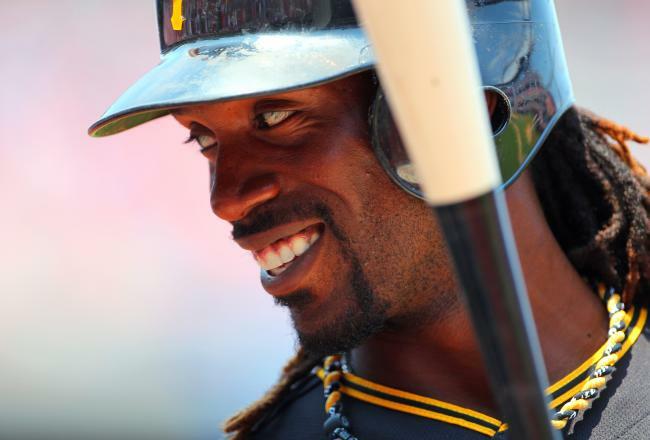 Hamilton is on pace for 72 home runs, 180 RBI’s, 132 runs and 12 stolen bases. He has already hit 4 home runs in one game this season. Now I don’t need to tell you that it would be one of the best seasons we have ever seen. It should be noted however, Hamilton has never hit more than 32 home runs in one season, but at the same time he has never been this hot. The big stat that has everyone’s attention are the amount of home runs he has complied so far. His home run hitting this season has reminded me a lot of Ken Griffey Jr.’s record pace in the 1994 season. 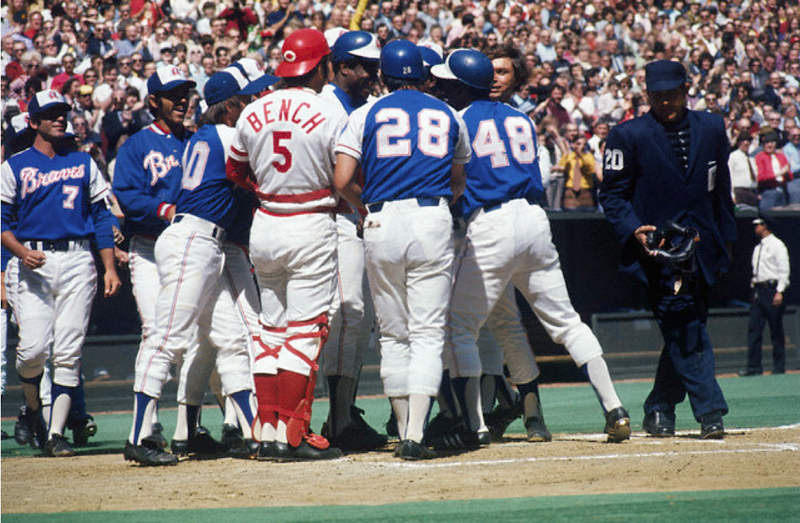 However Griffey’s season ended in June when the players went on strike. Hamilton will not have anything other than an injury to hold him back this particular season. His pace is impressive but would not be a record. However if he could have hot streaks from time to time, he could very well take the home run record of 73 held by Barry Bonds in 2001. If Josh Hamilton could take the home run record it would be an incredible thing to happen to Major League Baseball. We all know how tainted the record held by Barry Bonds is after the truth about him taking Performance Enhancing Drugs came out a few years ago. Hamilton would clean up the record having played in an era with stricter testing and a lower tolerance of P.E.D.’s. Hamilton also would be a great story of a man who has battled demons and while he will never be clear of them, made things right and triumphed over them. Hamilton has had a crazy last 13 years. 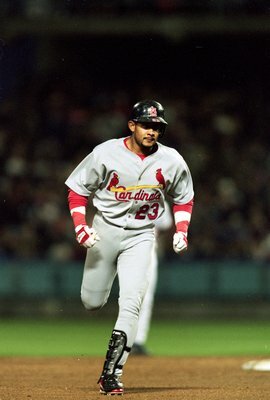 He was drafted 1st overall in the 1999 June MLB draft by the Tampa Bay Rays. He struggled with a drug addiction and alcoholism. Hmilton never fully adapted to the system in order to become a Major League star. The Rays gave him numerous chance but had no choice but to let him go after 4 years of working with him. Hamilton battled his demons and came back to baseball in the Independent League and later got a contract with the Cincinnati Reds in 2007. He played so well that year that he was signed by the Texas Rangers in 2008. He had an incredible showing in the 2008 MLB Home Run Derby and caught the attention of the sports world. Hamilton has developed into a superstar and is the face of the Rangers Franchise. The season is only 1/4 complete though. He could calm down, or he could keep going. He is the heart of this team and I feel how Josh Hamilton goes so does the team. The team has made the World Series the last 2 seasons. I totally believe they could make another appearance this year and actually win the championship this time. Josh Hamilton is what is good about baseball right now. He is a man that has fallen down numerous times, picked himself up every time and succeeded. He will continue to garner attention this year from all baseball fans. I believe the baseball world will rally behind him and if he is close to breaking Barry Bonds’ record near the end of the season and push him to breaking it. Hamilton is already a hero but he could become the single season home run hero by the end of the summer.